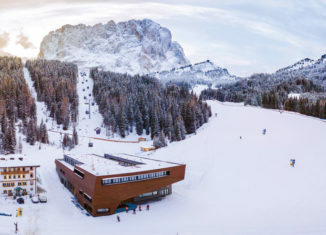 In Selva di Val Gardena (Wolkenstein in Gröden), in the heart of the Dolomites, the new departure station of the Piz Seteur cable car was built, with the particularity of the upper floor, dedicated to storage rooms and staff accommodation, and the external coating in brushed larch wood. 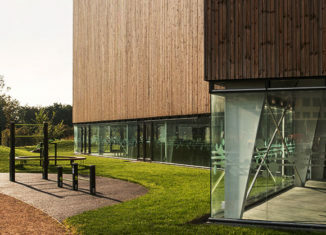 This public, fully accessible building in Ørestad City is also the smallest public building in this newly developed area. 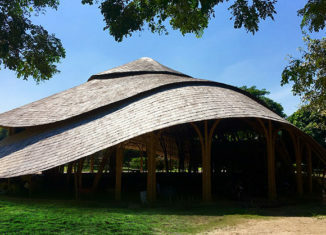 The sport facility is designed in close co-creation with the users, to cater and promote informal sports activities. 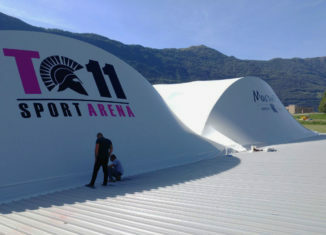 Football fields are often the first - free and flat - areas to be used for the settlement of first aid camps in the event of natural disasters. 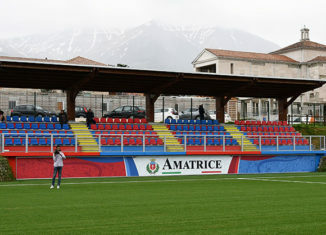 Thus the municipal football field of Amatrice, which, less than two years after the earthquake, has been restored, equipping it with a surface of artificial grass of the latest generation. 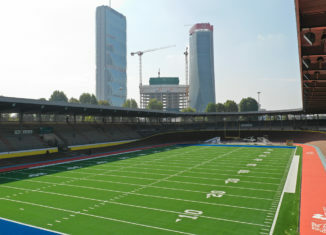 The historic facility, which since 2015 has been undergoing redevelopment as part of Citylife's urban planning project, after the restoration of the wooden track, has now been completed with the renovation of the internal field for rugby and American football. 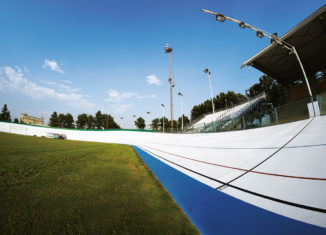 The Ottavio Bottecchia velodrome, one of the first ten open-air tracks in the world, built in 1925, has recently been refurbished, bringing the track's surface back to its optimum functionality on the occasion of the "3 Sere Internazionali Città di Pordenone" (3 International Evenings in the City of Pordenone). 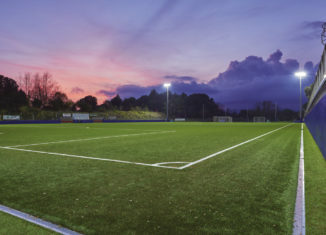 In a picturesque position on the Gulf of La Spezia, the old limestone field has now been equipped with a brand new synthetic turf completely recyclable, and a powerful lighting system with LED lights. 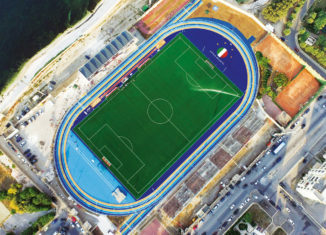 Inauguration at the end of August of the historic Apulian stadium, which has been completely redeveloped: new artificial turf for football, new tricolour track for athletics, new seats on the grandstand. 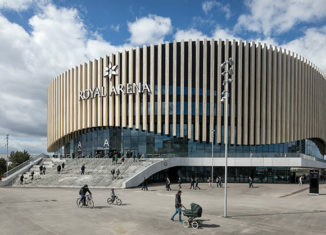 One of the most anticipated cultural venues in Copenhagen, the 35,000 m2 Royal Arena, opened with four sold out concerts by Metallica. We are not far from the bank of the Ticino, in the like-named Swiss canton, near the highway that leads to Bellinzona. 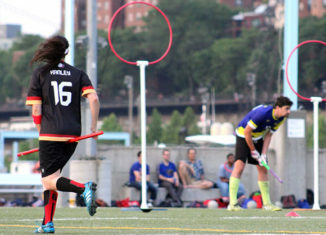 When the English writer J.K.Rowling published 'Harry Potter and the Philosopher's Stone' in 1997, the first novel of the saga of Harry Potter, would not have perhaps imagined that in the future the Quidditch, magical game that takes place on horseback of flying broom handles, described there for the first time, would become a true sports discipline. 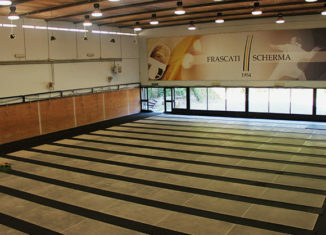 The Frascati fencing facility was built in the 1970s, to support the local sports group. Recently the entire fencing room has been renovated with the addition of 20 electrified platforms, paved with the support of a special elastic mat. 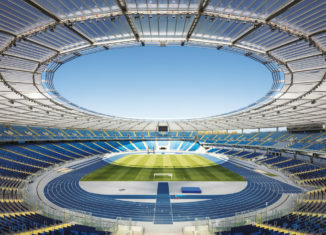 In June 2017, the Executive Board of the International Olympic Committee approved the programme for the Tokyo 2020 Olympic Games, confirming the line taken recently by the committee itself: to make the next Olympics a more "young" sporting event with a more "urban" appeal.